We write to confirm if there will be any response from any of your relations concerning what we just heard from a man named Mr. Paul Johnson about yourself. He came to our office last week and informed us that you are dead and during your illness you willed him to claim your US$950,000.00 compensation that the Federal Government mapped out to compensate those that were defrauded by the impostors in our local banks here in Nigeria. Failure to reply back in the next 24hrs simply means that what Mr. Paul Johnson said is true that you are dead. ** Though I’m fairly sure the shock of a perhaps 90+ year old relation getting an e-mail that says, “Dear Aunt Janice, I’m just writing to ask how you’re doing and make sure you haven’t died.” won’t be good for their health… or your consideration in the will. 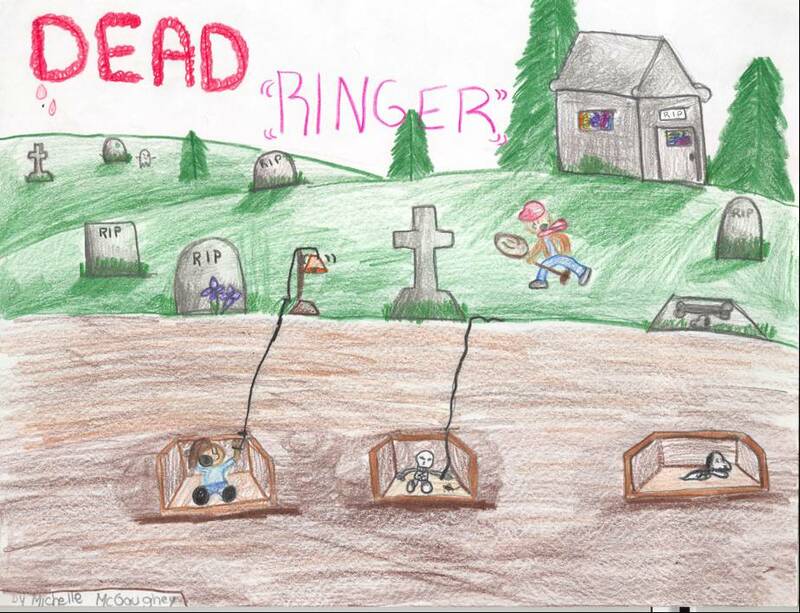 Dead Ringer illustration by a student in Mr. David Cole’s 8th grade class at Barnstable Middle School in Hyannis, Masschusetts.